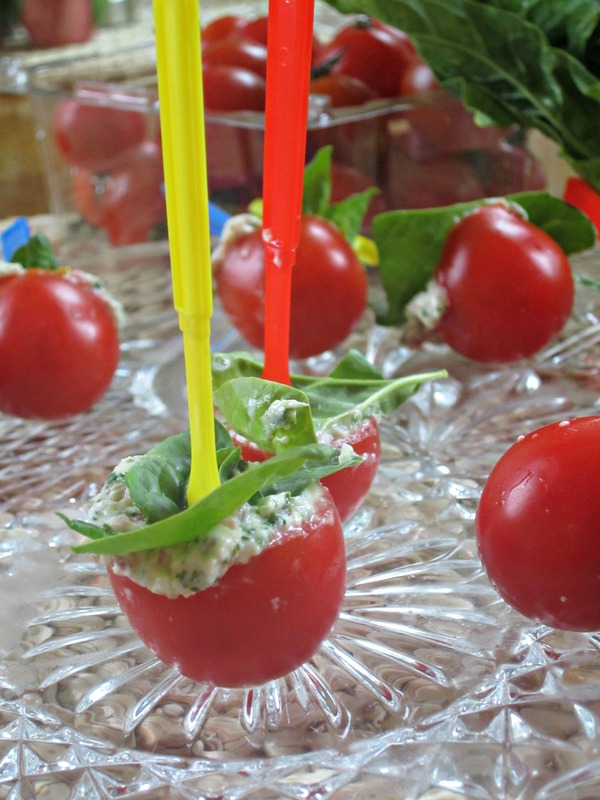 Here’s a great snack that’s easy to pull together for a potluck or a dinner party. These mini BLTs look like you spent all night slaving away, but making 20 of them only took about a half an hour. The trick is in the tools; I recommend using the pokey end of a melon baller to core your cherry tomatoes, a food processor to get a smooth filling and ye old plastic bag “piping bag”. These are sure to impress, make you you make some extra for gobbling up as you cook for “tasting”.